Once upon a time, people used to go to bookstores, especially to the famously fabulous flagship Kroch’s and Brentano’s in Chicago, to buy books. K & B had the best art books department in the Midwest. 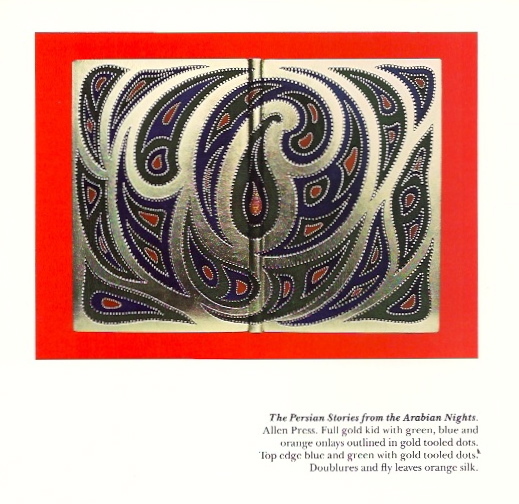 In addition to a having an impressive stock and knowledgeable staff, they would mount exhibits of the work of painters, photographers, and, at least once, a bookbinder. 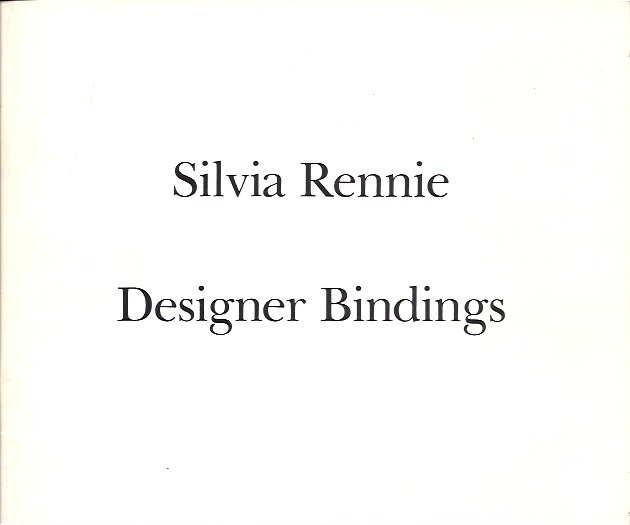 Silvia Rennie, who was a part-time binder when she was published in the GBW 75th Anniversary Exhibition catalog (1981), had a solo show at K & B in 1985. It was on display for only one month. I wonder how many people got the chance to see what she had achieved? Call me a fan-girl if you must, but I want to meet the woman who made these books. Maybe, one day, I’ll own one. I would love to see a price list and know what sold, wouldn’t you? Silvia Rennie is brilliant! She was my neighbor for years and an artistic genius. I was a kid and definitely a fan-girl and would prattle to her sometimes as she worked…she’s an absolutely delightful person as well. Thanks, Peter! I’ll take a look after work tonight. I just acquired the Rennie/Sabota catalog. Oak Knoll must be wondering what is going on. Wrong link for the pricelise… Sorry. Correct one is https://docs.google.com/file/d/0B1eGH1p97a4SdC1RZEF2cERaQ3M/edit?usp=sharing. 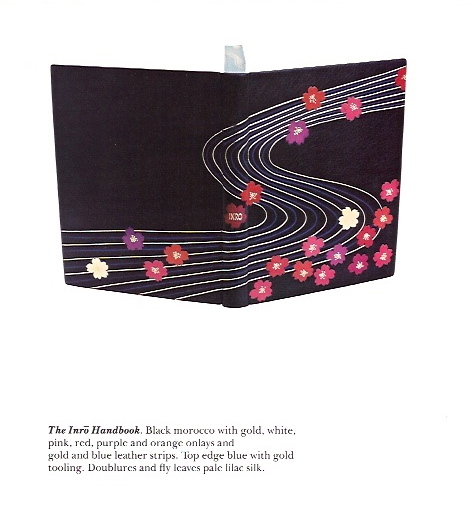 Thank you for sharing information about this catalog – one I did not have but now do. Ordered mine from Oak Knoll and came with a bonus that will answer your final question. Mind you, those are 1985 $$$. PDF at https://docs.google.com/file/d/0B1eGH1p97a4SLV9KVHZYbU5qNU0/edit?usp=sharing. Related, there is another nice little catalog with her work (and that of Jan Sobota) available at Oak Knoll. 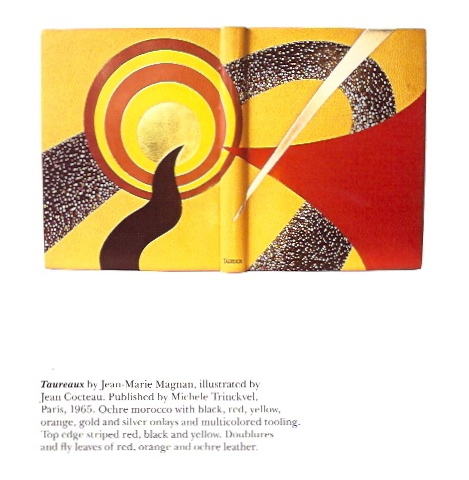 Title is SILVIA RENNIE AND JAN SOBOTA: DESIGN BOOKBINDINGS, http://www.oakknoll.com/detail.php?d_booknr=106553.